The latest issue of T: The New York Times Style Magazine is organized around the theme “Imagining America in 2024.” The magazine asked musicians Stephen Malkmus, Kelsey Lu, Bonnie “Prince” Billy, and Meg Baird to write and record songs that envision the state of the country in 5 years. As one would imagine, the results are eclectic. 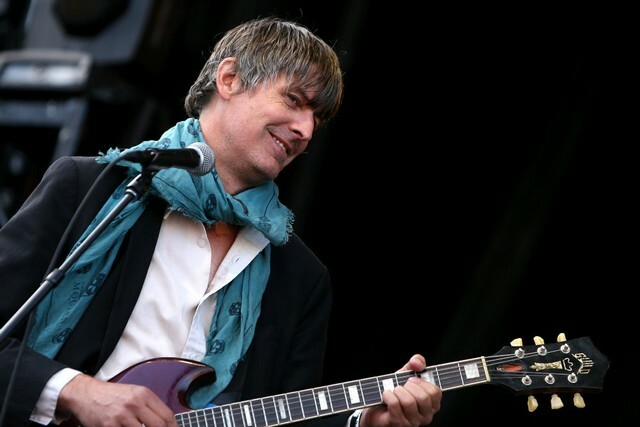 Malkmus contributed “Airplane Air,” an aggressive dance track in the vein of his last album Groove Denied, which he described as the kind of song that would be played “on pirate radio in a police state.” Baird’s song is a dreamy psych jam called “1,000 Goodbyes x 100 Hellos,” which she said asks “whether we can trade our collective environmental, social and economic anxieties for action.” There are no accompanying statements for Billy’s mournful “Where My Heart’s Scared To Be” and Lu’s instrumental soundscape “A Possible Toss Upwards,” so it’s safe to assume they want the songs to speak for themselves. The songs can be listened to at the T Magazine site.